Living the Dream is a British 60 minute scripted comedy television series, which kicked off on November 2, 2017, on Sky 1 and is broadcast every Thursday at 21:00. The show is currently in its 2nd season. 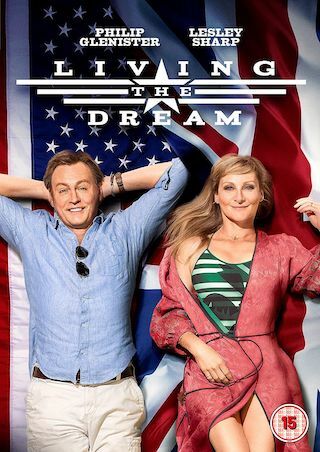 Sky 1 is yet to announce the renewal of Living the Dream for Season 3 as well as its cancelation. Sign up to track down the show's status and its release date. Dad Mal has bought an RV Park with plans for a booming family-run business, but it soon turns out that they are not going to be living the dream they hoped. Before they've even settled in, Mal discovers that the park is home to a group of eccentric residents who are not exactly thrilled to meet their new owners. Jen, the mum, has to learn how to survive American suburbia and the kids have to navigate a US high school. With culture clashes aplenty, life in Britain soon seems even further away than they'd thought it would. But with the support of each other and their crazy new friends, they begin to learn how to live the American dream.